Can you hear that? The honk from a school bus, the scribble from a pencil? It's almost back-to-school time. And with school season, comes back-to-school shopping. 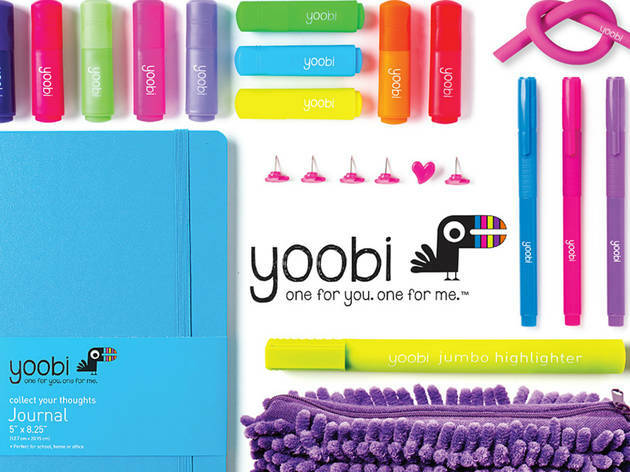 Score fun school supplies at Yoobi's free Fun Day event (located at the Park at the Grove). 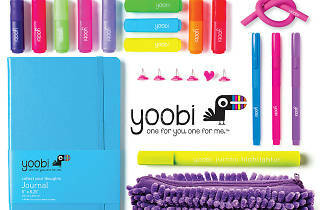 Hop on the colorful Yoobi school bus (literally—it's the stationary brand's logo) and find an arts and crafts station. Bring the kids for a last days of summer hurrah; the free event will also have games and giveaways—aka get a head-start on school supply shopping. The best part? There will be a gigantic inflatable Twister board.